A communication breakdown is one of the worst things that can happen during a flood. One engineer has developed a system to help close the communications gap between flood management and emergency responders. In the past 100 years, floods have killed at least 1000 people and done more than $4.6 billion in damages in Australia alone. Advance warning and preparation is paramount, but this requires navigating the complexities of flood management, as well as making sure the public knows if and when they need to get out. As important as that workflow is, there can be a huge communication gap between those involved in flood management and emergency response services. Bridging that gap inspired Carrie Dearnley, a senior flood engineer with BMT, to create a program that helps flood management and response teams get the information they need, when and where they need it. 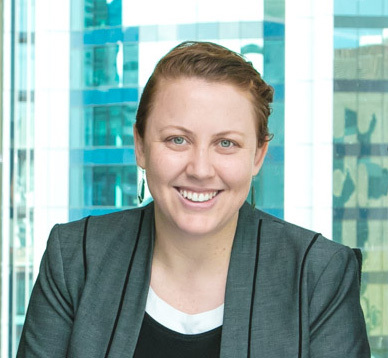 Dearnley became interested in flood engineering while working on her undergraduate thesis at the University of Queensland. Her environmental engineering studies saw her collaborate closely with the Centre for Water in the Minerals Industry. Carrie Dearnley, senior flood engineer, BMT. “I was looking at water in mining sites, specifically looking at what happens if there are big flood events and storages overflow, and what the cumulative impacts of those events are,” she said. Post graduation she moved into a role as a flood engineer at BMT, and she’s “been there ever since”. 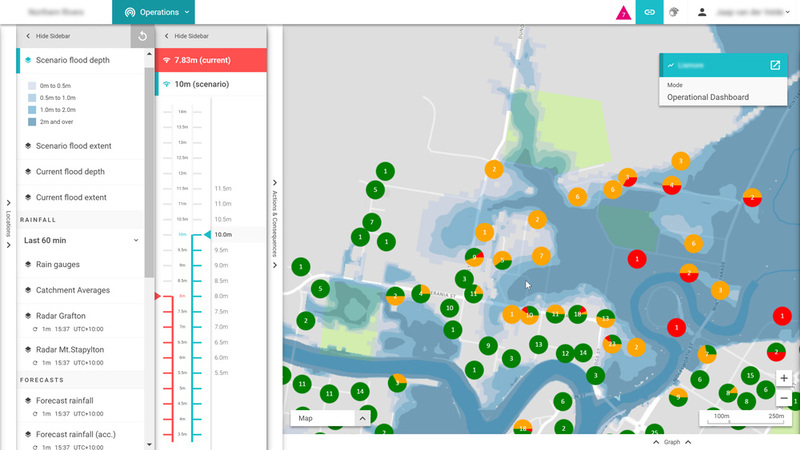 The flood management software she helped develop, called FloodIntel, came about through flood studies and discussions with emergency personnel in the Northern Rivers area of NSW. “Traditionally with flood studies, you create a lot of maps and reports, which you then hand over at the end of the project – and then that’s it,” Dearnley said. “What we found was there would be some big floods, things like Cyclone Oswald coming through, that caused groups in the area to call us and ask, ‘We’ve had this much rain forecast, what do you think that means?’ or ‘the [Bureau of Meteorology] is saying the gauge will reach 5.6, will that overtop the levies?’. Flood management personnel have a lot to track during a flood event: they need to keep tabs on different river systems, sequence their actions, and make a decision about what’s urgent and what can wait – whether to issue a warning here or evacuate people there first. This process needs to be as simple as possible, especially since the end-user might not have expert levels of knowledge. Making FloodIntel intuitive was therefore a critical part of the design. “There are more complex systems that are great if you’re using them all the time or you’re a hydraulic engineer. But a lot of people who use flood information during an event are volunteers, so they might not have the local knowledge or the technical knowledge,” Dearnley said. Floods are also unpredictable, which meant the program needed to be able to perform regardless of circumstances. “Floods don’t happen nine to five – it can be the middle of the night, people can get cut off – so it was important for it to be web based,” she said. Everything is password protected so users can log into the system from wherever they might be. Dearnley said the team is also starting to look at making certain aspects public facing. “You jump in and, if you’re using it in real-time, it will show you the current water level at your focus gauge, what flood map that specific gauge level correlates to, and what impacts might be observed at that level, such as inundated roads or properties,” Dearnley said. In some ways, it’s fortunate the software hasn’t been tested in a serious flood yet. But according to Dearnley, it’s a process of continuous development and refinement. The more workflows and planning decisions that can be preloaded into the system, the more effective it is. FloodIntel is currently being rolled out to councils in NSW, Queensland, Tasmania and internationally. Dearnley said it also has other applications, including managing the impacts of climate change on coastal environments. While the work is reward in and of itself, Dearnley said it was wonderful to be named as one of create’s Most Innovative Engineers for 2017 for her work on the FloodIntel program. She said the nomination was particularly validating because she works in an area “that’s not really considered traditional engineering”. “Flooding is a niche discipline, and I work in a cross-disciplinary space that includes emergency management and land use planning, and focuses on communication and risk management,” Dearnley said. She feels the intersection of engineering and communication is not given the credit it deserves in the industry. “A lot of engineers are focused on the technical aspects of their work and think that’s enough – that their work sells itself. But the best piece of work isn’t useful if no one picks it up and applies it in their life,” she said. Carrie Dearnley is one of create‘s Most Innovative Engineers for 2017. Nominations are now open for the class of 2018. To nominate yourself or someone else, click here.